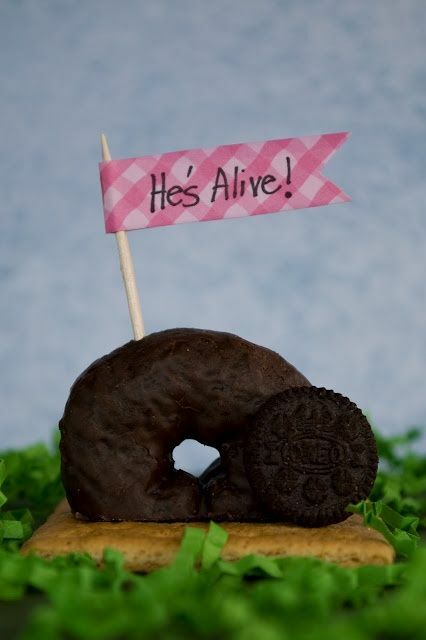 Empty tomb donut, via Catholic Icing. * Empty Tomb Cake. This is a fun project to do with the kids. All you need is a Pyrex bowl or a domed cake pan. Here's a variation that might be even easier. 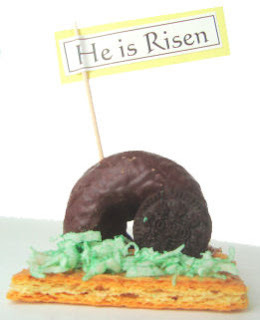 * Empty Tomb Donut. It doesn't get any easier than this! Just plop a donut onto a cracker and viola! 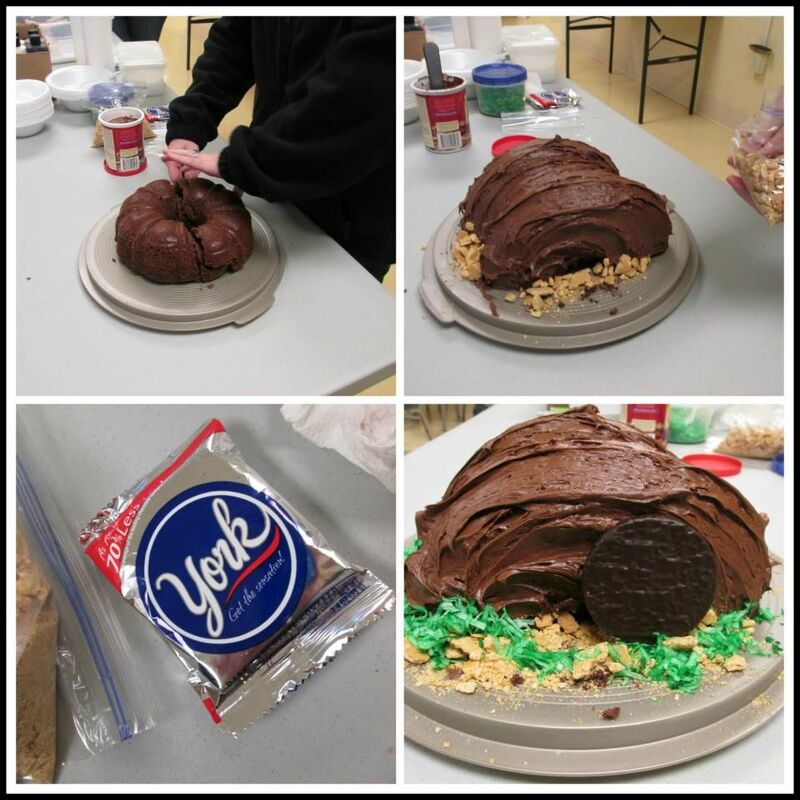 An empty tomb craft/decoration/dessert! Here's a variation on this activity, which also uses a donut hole. Another variation uses half a bundt cake. * Empty Tomb Pineapple. Ha! It's just like the donut project, but made with a slice of pineapple! * Empty Tomb made with Cookies. Also super-easy. Use store bought or homemade cookies to make this Easter display. * Empty Tomb Cookies. This is a fantastic way to really garner the interest of younger kids. You help them make cookies that turn into empty tombs overnight. Empty Tomb Garden, via Uncommon Designs. * Empty Tomb Garden Pot. 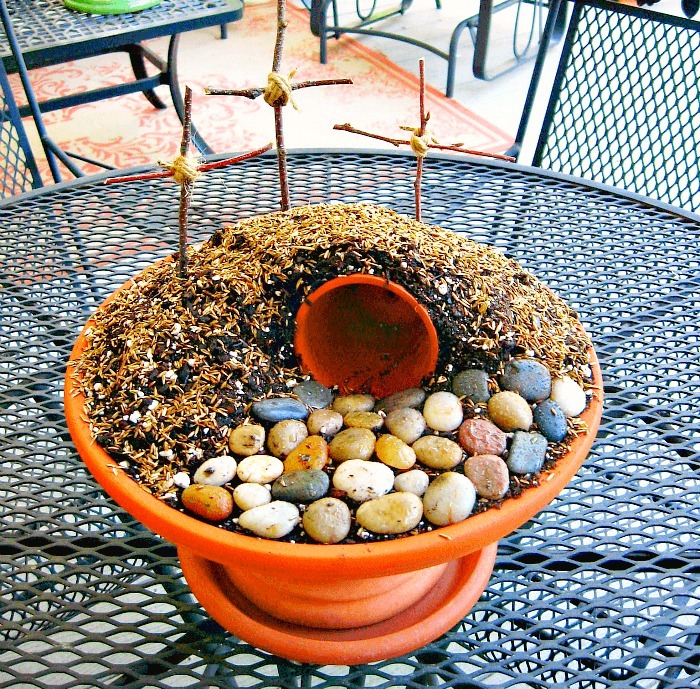 If you have a green thumb, grab a pot, some small rocks, and some grass seed to create a lovely Easter display. * Resurrection Buns. Similar to Empty Tomb Cookies, but much easier. This is a tradition in our house, and one that my children love. * Play Dough or Salt Dough Tomb. 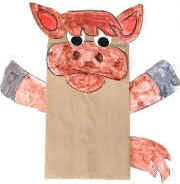 A fun craft for grade schoolers. * Moving Empty Tomb. A free printable for younger kids, which uses a comic strip that moves through the hole in the empty tomb to tell the story of Easter. * Empty Tomb Made of Legos. Self explanatory...and you'll know if this is THE activity for your kid! * Empty Tomb Play Box. This is perfect for very young children. The instructions aren't specific to Easter, but you can easily tie this into an Easter picture book, plus playtime. 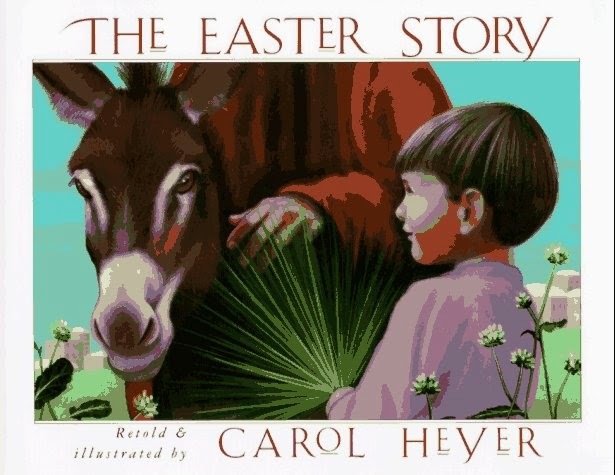 Carol Heyer's The Easter Story. 2. Start an Easter book collection. Do you have a collection of Christmas books you bring out and read in the weeks leading up to Christmas? Well, an Easter book collection serves the same purpose; it's a fun way to ready hearts for the upcoming holiday. 3. Have a Resurrection Scavenger Hunt. 4. Make or buy some Resurrection Eggs for your Easter egg hunt. 5. Or just have one Resurrection Egg (sometimes called a Gospel Egg). 7. Make a craft that explains who Jesus is, in his own words. 8. Craft Easter story wreaths. 9. Make pretzels into decorative and yummy cross snacks. 10. Create a simple three crosses craft display. 11. Bake Empty Tomb Cookies. 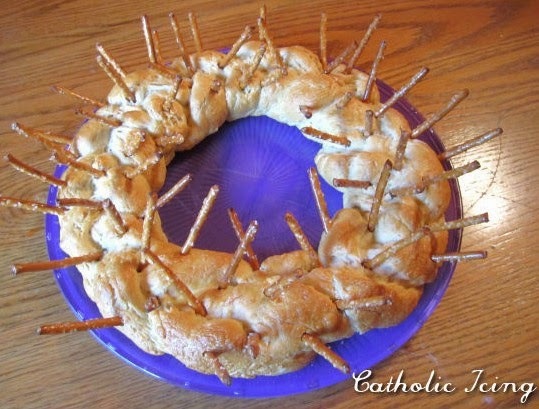 Crown of Thorns Bread, via Catholic Icing. 14. Bake Crown of Thorns bread for Easter dinner. 15. (Bonus idea!) Have an Easter scavenger hunt. * Make Resurrection Buns. These are SO easy! Even toddlers can help make them - and I've yet to meet a kid who wasn't delighted with how the buns turn up empty when they bite into them. 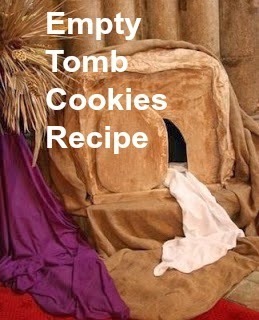 * Make Empty Tomb Cookies. These are slightly more involved, but still fun. * Make Resurrection Eggs for the Easter hunt. It's really easy if you use the printables found here. 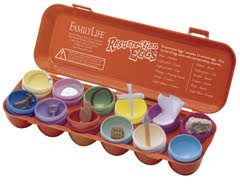 Or take it one step further and create 3-D items for the eggs. 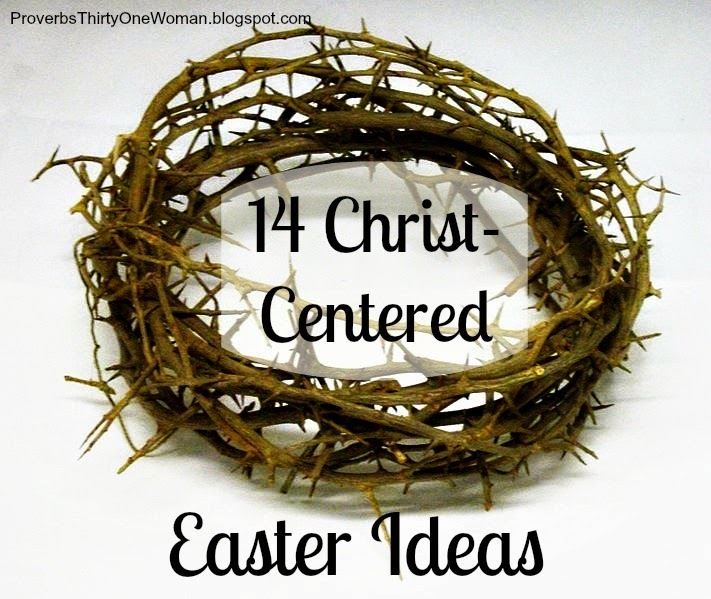 A similar idea is to put together an Easter basket with elements from the true Easter story. Found on Pinterest. Original source unknown. * Put a little forethought into the food for Easter. 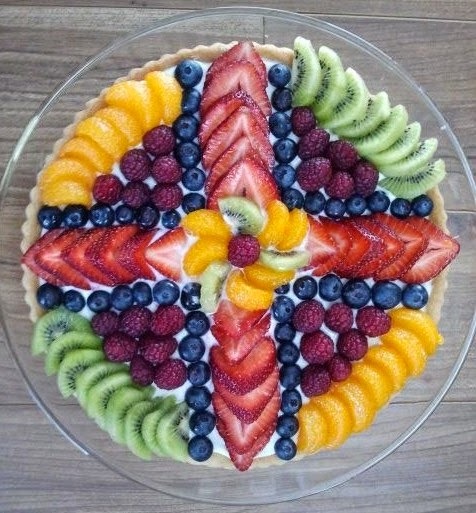 For example, by arranging cut fruit into a cross, you point to the true meaning of the holiday. Or turn donuts into empty tombs. (See other examples here and here.) Or make pretzels into crosses. Or make the bread into a crown of thorns. Or make a simple breakfast of bacon and eggs something to remember. 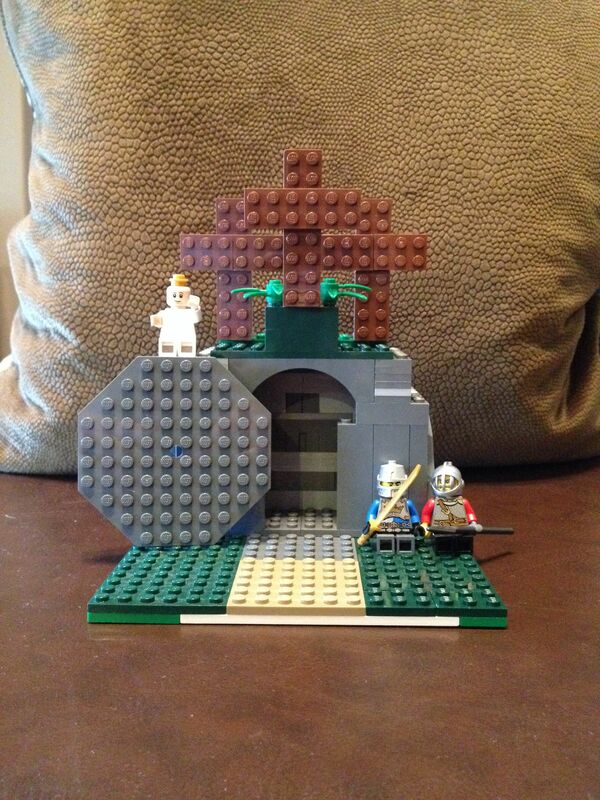 * Have the kids make an easy Easter playset, complete with Jesus, angels, and Roman soldiers. * Make a cross "wreath" for the front door. Here's a nice example. * A lot of children's Easter crafts forget to explain why Easter is so important to our salvation. Remedy that with this simple "paid in full" craft that turns pennies into a cross. Via Mom on Time Out. * Make a simple paper chain garland with your kids. Write the many names of Jesus - one on each chain. * Provide an Easter treat for a family or children in need. It doesn't take much time to put together some Easter baskets for the children, or a box with meal fixings for the whole family. Be sure to include something that tells the true story of Easter and what it means - perhaps a tact or a children's picture book. 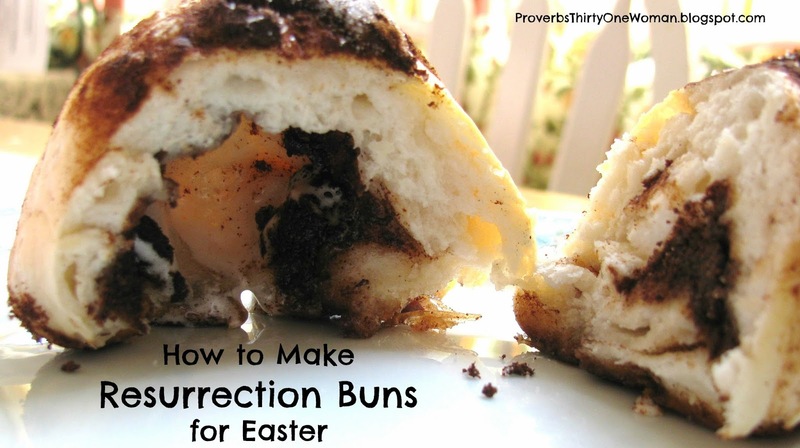 * Make Resurrection Buns. Of all the empty-tomb style foods (cookies, cakes, etc. ), this is by far the easiest to prepare. That makes it nice for moms, and also much easier for kids to focus on how the food relates to Jesus' resurrection. 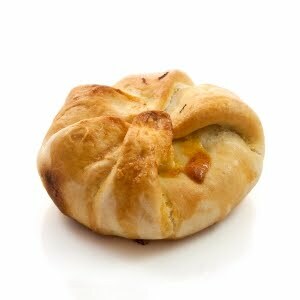 They also happen to taste great, and my kids never cease to be amazed by them. * Do Resurrection Eggs. 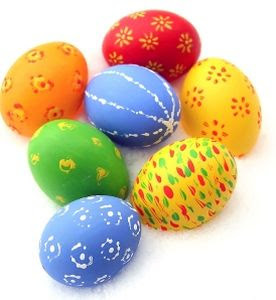 I haven't decided whether we will have the kids hunt for plastic eggs with symbols of the biblical Easter story in them or whether we'll do some printable craft resurrection eggs. * Some sort of easy Easter craft. Because my kids love crafts. I will pick one of these, depending upon my mood: Easy popsicle stick crosses, watercolor crosses, paper plate tomb, life of Jesus cross, or handprint cross. I also really like this printable scene - like a nativity, but for Easter. * Watch The Easter Story Keepers. If you're feeling more ambitious than I am, please check out my previous Easter posts, as well as my Easter Pinterest board. * Turn a sand bucket into an Easter basket. We've done this several years. It's so simple - and my kids always need new sand pails each year, anyway. Just use any type sand bucket - add ribbons to the handles if you like. 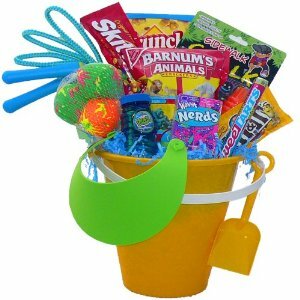 Fill the bucket with sand toys, as well as traditional candy or eggs. * Turn a hat into a basket. A simple summer hat with a brim turns into a cute basket! Choose one that has holes for air circulation and string a ribbon through them as a handle. 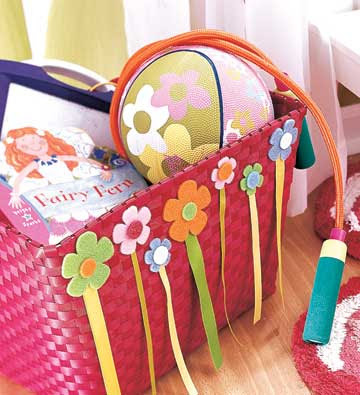 * Use a woven or fabric organizing bin as an Easter basket. When the holiday is over, use it to organize books or toys. * Have your kids make their own bask et from empty box, paint can, oatmeal container, coffee container, margarine tub, etc. by covering it with paper, ribbon, etc. (More here.) It may not be especially useful after Easter, but at least your kids had fun and it didn't cost much. * Make an Easter basket from recycled paper, glue, and a balloon or from construction paper. * Using no filler at all. * Use shredded paper, which can be composted or recycled. * Using real, living grass. * Travel games made from Altoid boxes. * These adorable bunnies made from packages of powdered donuts. Palm Sunday: Make paper palm leaf fans or trace your children's hands and make a palm tree from them. 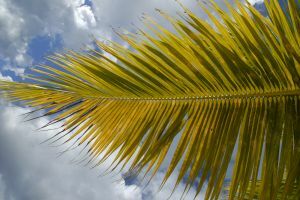 Read the story of Palm Sunday from a children's or adult's Bible and discuss the meaning of "Hosanna" (praise or adoration). Ask your kids what they would have shouted if they'd seen Jesus on the first Palm Sunday. Tuesday: Make some bread with your kids. (Here's an easy recipe.) Talk about why Jesus called himself the Bread of Life. Wednesday: Take turns serving each other a meal; even toddlers can bring food to Mommy or Daddy. Talk about how serving others means we are also serving God. Thursday: Make lunch or dinner as close to the Last Supper as you can imagine. Wash each other's feet before the meal. End the meal with bread (try this traditional challah recipe) and wine (or grape juice). Other possible foods include bitter greens (turn endive and other greens into a salad) and roasted lamb. 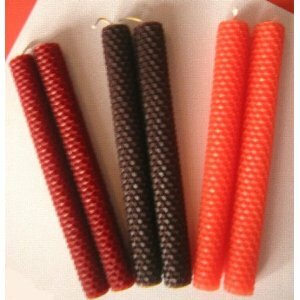 Friday: Make simple candles from beeswax sheets and wicks (available at craft stores; instructions here). Ask your kids why Jesus is called the Light of the World. Saturday: Go to a park or someplace you're likely to find a large boulder. Ask your kids to try to move it. Talk about how hard the stone over Jesus' tomb would have been to move, and how scared the soldiers must have been to see it roll away. While you're out in nature, search for things that remind you of Easter: two sticks can form a cross, a red flower can remind us of Jesus' blood sacrifice, etc. Easter: Hunt for Resurrection Eggs. Make Resurrection Buns or Empty Tomb Cookies. Read the full Easter story from a children's or adult's Bible. Recently, I've posted about a lot of ways to make Easter more meaningful for kids, including making resurrection eggs, empty tomb cookies, Jesus eggs, and resurrection buns. But today I want to ponder a few things that can help make Easter more meaningful for the entire family. 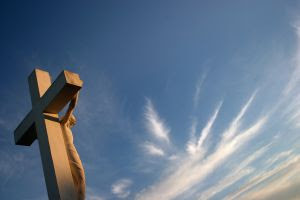 * Attend sunrise services, symbolizing when Jesus is believed to have risen from the tomb. If this seems impossible with young children, be sure to attend church later in the day. * Read the Easter story from the Bible. * Provide an Easter treat for a family or children in need. Perhaps a neighbor's husband is deployed, or a family down the street is struggling with unemployment. Make their Easter sweeter by giving the children Easter baskets, or providing an Easter meal. Be sure to include a Bible or a children's book about the real meaning of Easter. 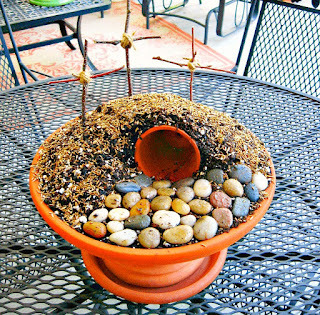 * Plant an Easter garden. Easter is partially about rebirth and second chances. What better time to plant a garden? Unless there is still snow on the ground, you could plant cool season crops like lettuce, cabbage, broccoli, Brussel sprouts, and carrots. * Watch an Easter movie together. The Passion of Christ is too intense for young children, but The Easter Story Keepers is great for kids as young as 4. * Save an Easter lily. This while flower is associated with Christ's sinless life; the fact that it goes dormant ("dead" in winter) then "resurrects" in the spring with foliage and blooms, also reminds us of Jesus' sacrifice. This year, try preserving an Easter lily by keeping it indoors until your last threat of frost. Then you may plant it in the garden where it will receive full sun. 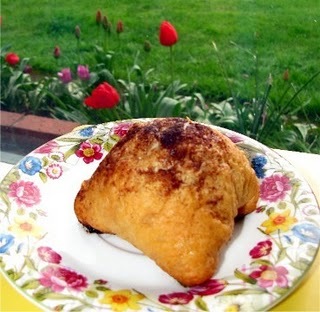 Here's a super-easy recipe, ideal for even very young children. Serve it with your Easter meal; it has just a slightly sweet flavor. 1. Give a child a biscuit straight from the can and let him flatten it out with a rolling pin until it measures about 5 inches across. 2. Let the child spread a dab of butter, and a small sprinkle of sugar and cinnamon on the flattened biscuit, explaining how Jesus gave us the sweetest gift ever known. 3. Give the child one large marshmallow and tell her it represents Jesus. It's white because Jesus is holy and sinless. Have them place one marshmallow in the center of each biscuit, then fold the sides of the biscuit around the marshmallow, forming a "tomb." 4. Pinch the sides of the tombs closed and place the folded side down on a baking sheet so they won't open during baking. This is a good job for an adult; if the biscuit isn't securely pinched, it may spoil the empty tomb effect. 5. Have the child spread a tad more butter, sugar, and cinnamon on the outside of each biscuit. Explain this represents the anointing of Jesus' body. 6. Bake the buns according to the biscuit packaging directions. Allow to cool. 7. When the buns are eaten, the children will be surprised to discover the marshmallow has disappeared from the center. Empty Tomb Cookies are a great way to bring Easter to life for kids. Begin the process of making these treats on the day before Easter. 1. On the day before Easter, preheat the oven to 300 degrees F.
2. Read John 19:1-3: "Jesus was beaten for our sins..." Beat the nuts with the wooden spoon or mallet, then set aside. 3. Read John 19:28-30: Jesus drank something like vinegar; sniff the vinegar, take a little taste, then place the vinegar in the mixing bowl. 4. Read John 10:10-11: Egg whites symbolize Jesus' holy, sinless life; add the whites to the mixing bowl. 5. Read Luke 23:27: The women's tears were bitter; taste a few grains of salt, remember your own sins, then add the salt to the mixing bowl. 6. Read Psalm 34:8 and John 3:16: Sweet salvation! Taste the sugar, then add it to the mixing bowl. 7. Mix the ingredients in the bowl with an electric mixer as your child reads Isaiah 1:18 and John 3:1-3; mix for about 12-15minutes. The dough must be quite stiff. 8. Read Matthew 27:57-60: Fold the nuts (representing the rock placed over the tomb) into the dough. 9. Drop spoonfuls of the dough (using a knife and spoon) onto a cookie sheet. These mounds represent the rocky tomb Jesus was laid in. 10. Place the cookie sheet in the oven, and turn the oven off. 11. Read Matthew 27:65-66: Seal "the tomb" oven with two pieces of painter's or masking tape. 12. Read John 16:20 & 22, discuss, then go to bed. 13. On Easter morning (the very next day), read Matthew 28:1-9: Jesus is risen! Behold, the empty tomb! Unseal the oven door and remove the cookies. Break one in half - it is hollow inside. It is empty, just like Jesus' tomb. When I was a young teen, my mom couldn't find white eggs in the store, so she bought brown eggs for us to color for Easter. We were astonished by the results. The eggs dyed into strong, bold colors just using ordinary food dye. From then on, we always made sure we dyed brown eggs. 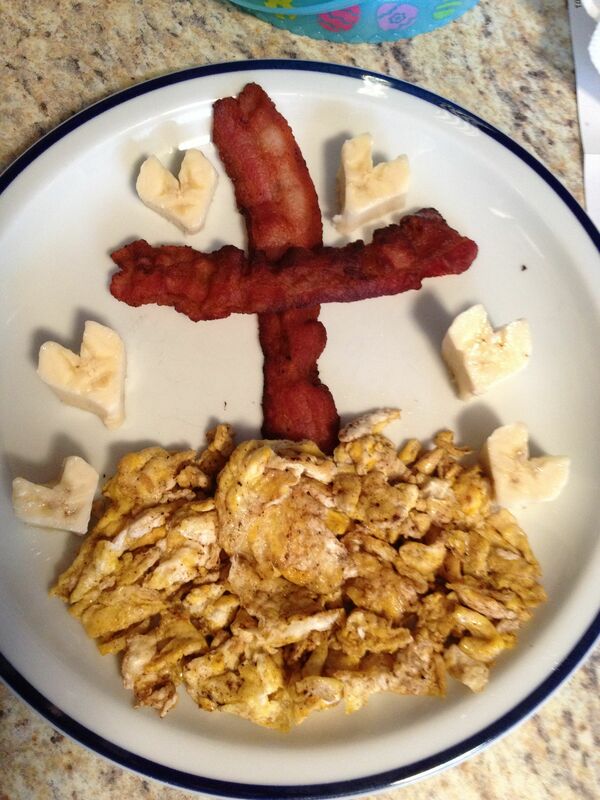 Another, more meaningful, tradition is to buy some sticker letters and spell out "Jesus" on some eggs. Boil 5 eggs, allow them to dry thoroughly, and place one sticker each (a "J" on the first, an "E" on the second, and so on). Dye the eggs in food coloring, let the dye dry, then remove the stickers. If you like, use all natural food coloring; you'll find the directions over at Inspiring Ideas. For those of us who want to give the kids a little something fun to do on Easter, but want to make egg hunts a lot more meaningful, I recommend resurrection eggs. Yes, you can buy them, but they are also easy - and cheap - to make. * A small piece of bread, along with a print out of Matthew 26:26: "Jesus took bread, gave thanks and broke it, and gave it to his disciples, saying, "Take and eat; this is my body." * A coin, along with Matthew 26: 14-15: "Then one of the Twelve—the one called Judas Iscariot—went to the chief priests and asked, 'What are you willing to give me if I hand him over to you?' So they counted out for him thirty silver coins. From then on Judas watched for an opportunity to hand him over." * A piece of purple fabric, with Mark 15:17: "They put a purple robe on him, then twisted together a crown of thorns and set it on him." * A thorn from a rose bush, with Matthew 27:19: They "twisted together a crown of thorns and set it on his head. They put a staff in his right hand and knelt in front of him and mocked him. "Hail, king of the Jews!" they said." * A piece of string, representing a whip, along with Mark 15:15: "...He had Jesus flogged, and handed him over to be crucified." * A small cross (available at a Christian bookstore, or make one from cardboard), with John 19:17-18: "Carrying his own cross, he went out to the place of the Skull (which in Aramaic is called Golgotha). Here they crucified him, and with him two others—one on each side and Jesus in the middle." * A nail, with John 20:25b: "But he said to them, 'Unless I see the nail marks in his hands and put my finger where the nails were, and put my hand into his side, I will not believe it.'" * A small printed sign, along with Luke 23:38: "There was a written notice above him, which read: THIS IS THE KING OF THE JEWS." * A small spear-like object (a pointed stick or a toothpick), with John 19:34: "Instead, one of the soldiers pierced Jesus' side with a spear, bringing a sudden flow of blood and water." * A small rock, with Matthew 27:59-60: "Joseph took the body, wrapped it in a clean linen cloth, 60and placed it in his own new tomb that he had cut out of the rock. He rolled a big stone in front of the entrance to the tomb and went away." * And an empty egg, with Matthew 28:6: "He is not here; he has risen, just as he said. Come and see the place where he lay." Hide these along with real eggs (or candy filled ones), and you've just created a Christ-centered Easter egg hunt. 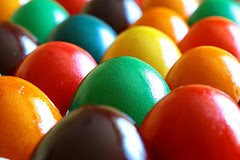 Young children may have trouble focusing on Resurrection eggs when candy eggs are to be had, so take some time after the hunt to sit down with them while they much on a chocolate cross, and read through and discuss the Resurrection eggs. End by reading the Easter story from the Bible, or from a great children's book like An Easter Gift for Me (toddlers and preschoolers), Read and Share: The Story of Easter (up to kindergarten), or The Very First Easter (kindergarten and up).